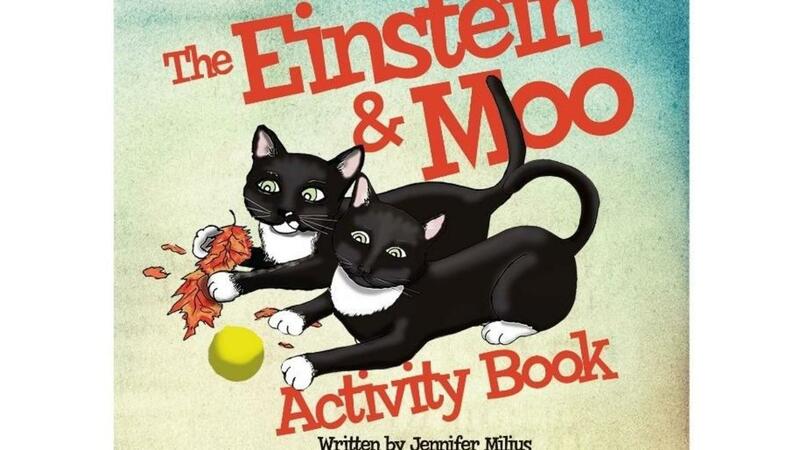 The Einstein and Moo series is about two black-and-white, brother and sister kitties who are playful, curious, friendly, and have many interesting adventures. Based off of the best selling children’s book series Einstein and Moo comes The Einstein & Moo Activity Book. Flip through the pages and enjoy crosswords, mazes, write your own story sheets, coloring, and so much more! Hours of fun and education for your children and for cat lovers alike.